What happened to the minion, my new amigurumi crochet work in progress, I started two weeks ago? I finished the body part, stuffed it and added some hair. In order to keep the black strands of yarn from unravelling I used some glue and trimmed it. Then I started the overall which consists of little pieces of crocheted details. The main part of the overall though is crocheted like the body part, in rounds. Now I have to assemble the overall parts and continue with the arms, shoes and face. 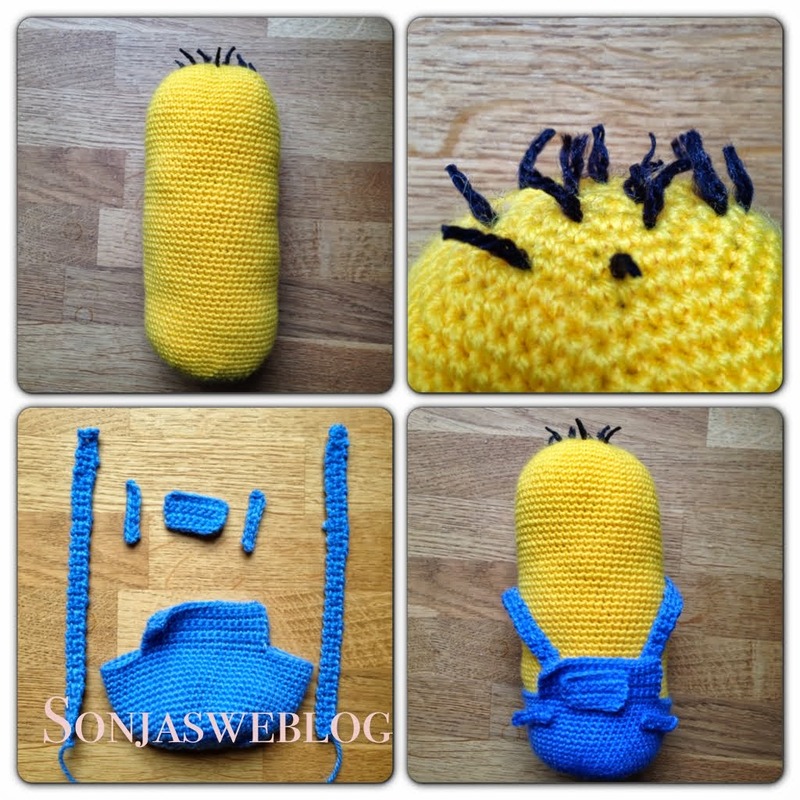 The pattern for this amigurumi can be found on "All about Ami"